Distribution and habitat: Phormium tenax is an evergreen perennial plant native to Phillip Island and indigenous to New Zealand, Norfolk Island and the Chatham Islands. 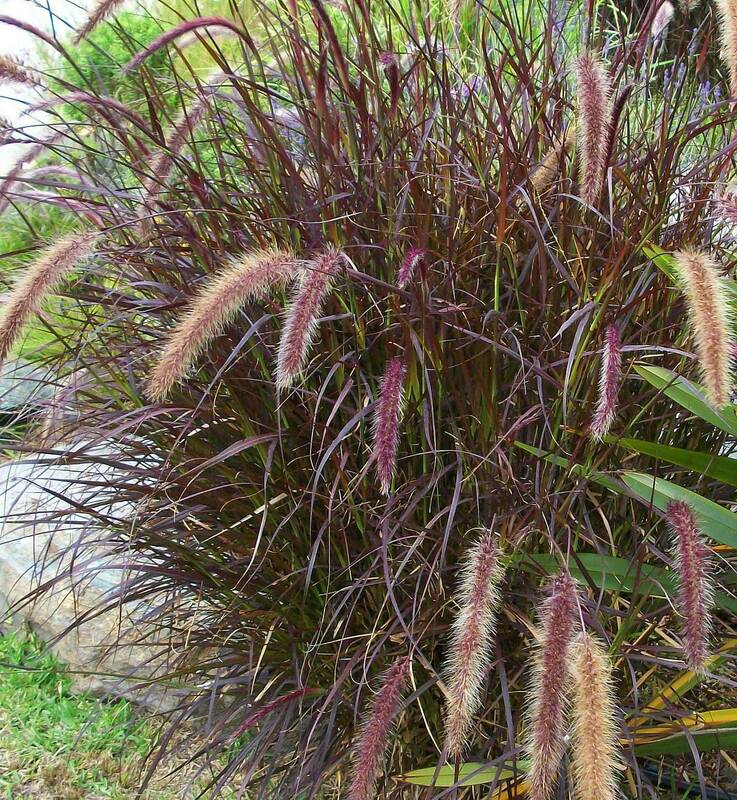 It is an important fibre plant and a popular ornamental plant. Phormium tenax is a coastal cover plant associated with significant habitat such as the breeding habitat for the endangered yellow-eyed penguin. It is an invasive plant in many parts of the world and is proving a threat to sensitive floras. Description: Phormium tenax are dramatic, architectural plants with a fountain of bold strap-like leaves and semi compact habit. The plant grows as a clump of long, strap like leaves, up to 80-90cm (31-35 inch) long, from which arises a much taller flowering shoot with sword-like form and dramatic yellow or red flowers. The leaves are coloured in tons of olive green, red, orange and bronze as it matures. Phormium tenax are frequently used for spiky, sword-like form and a variety of colors, including greens, reds, copper and yellow, but are seldom recognized. Gardening: Phormium tenax has medium to fast growing rate. 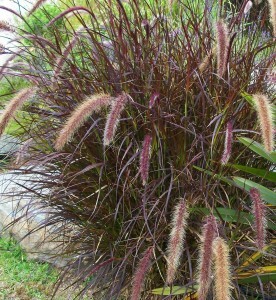 They are perhaps the most versatile container grass-like plant to design with. It tolerates warm-temperate, temperate, cool-temperate climates – frost tolerant. Avoid planting Phormium tenax during humid mid summer conditions. The base of the plant should be clear of mulch or soil build up to avoid plant rot. Remove spent leaves and old flower heads as required. It has low maintenance requirements once established. Position: Phormium tenax tolerates a full sun to semi shaded position. It tolerates coastal conditions (it is tolerant of salt air) and moderate frost. Soil: Suitable for most soil types. In more humid areas care should be taken to plant in well drained soils. Water: They are generally tough plants that will endure hot dry positions once established, though their preference is for moist but well-drained soil. Apply mulch to reduce weed growth and keep the root zone cold and moist during dry periods, particularly for young plants. Water as required for 8-13 weeks until established, then water as required. Once established it has a medium water requirement and responds to occasional deep watering . Fertilising: Apply to the soil surrounding the plant a long term slow release fertilser at the end of winter. In the spring use a fertiliser rich in nitrogen and potassium to encourage the development of new vegetation and of flowerings. Propagation: Phormium tenax is propagated from seed or clump division. The seeds remain viable for about 12 months when are stored adequately. The seed is best sown as soon as it is ripe in a cold frame. Sow stored seed at the end of winter in a cold frame. Germination is sometimes poor but should take place in 1 – 6 months at 15°C (59°F). The seedlings are very variable. When they are large enough to handle, prick the seedlings out into individual pots and grow them on in the greenhouse for at least their first winter. Plant them out into their permanent positions in late spring or early summer, after the last expected frosts. Division in spring as growth commences. Larger divisions can be planted out direct into their permanent positions. Pot up the smaller divisions and grow them on in light shade in a cold frame until they are well established before planting them out in late spring or early summer. Toxicity: The blades of the plant contain cucurbitacins, which are poisonous to some animals and some of them are among the bitterest tastes to humans. Leaf spotting fungus sometimes occur. Treatment: To combat leaf spotting use a recommended fungicide according to label directions. Slugs and mealybugs sometimes attack the plant. Treatment: Use a recommended pesticide according to label directions. 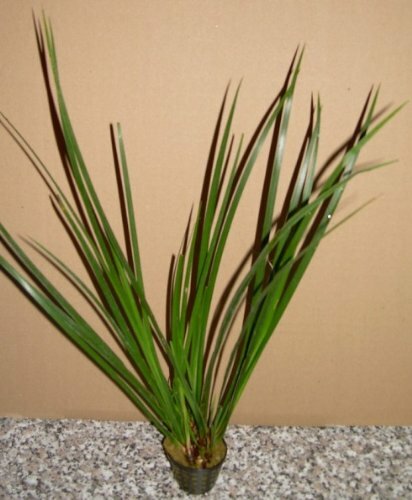 Uses: Phormium tenax is planted in small gardens or in containers for color contrast. It is suitable for low maintenance gardens, rockeries and ornamental gardens. It is great around pools or ponds, as well as in pots. It works well in mass planting. Phormium tenax is usually used as roadsides plants, mass plantings, feature plantings and plant gardens such as sunny edge of woodland garden, bog garden or cultivated beds. 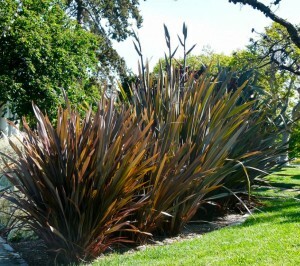 Phormium tenax it is a great garden companion for plants like Pinus (pine), Cotinus (smokebush), Aster species. Phormium tenax can be used as a colourful garden container in association with plants like Scirpus cernuus (Fiber optic grass), Heuchera hybrids (Coralbells), Pelargonium variegated hybrids (Variegated geranium), Citrofortunella microcarpa (Calamondin). Distribution and habitat: Carex morrowii Variegata is originated in woods from low mountains in Japan. Description: Carex morrowii Variegata is a clumping, evergreen variegated sedge. 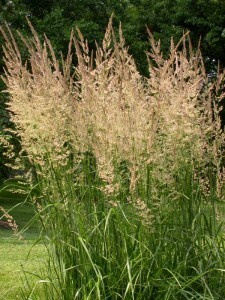 This stiff, grass-like sedge will contrasts well with broad-leaved plants. Its clustered leaves, which grow from a rhizomatous rootstock running just below the surface, are up to 30cm (12 inch) long and very narrow. Leaves are yellowish green narrowly striped with white. Flowers are insignificant. This plant grows more or less continuously, but attractive growth will slow down in the reduced light of the winter. 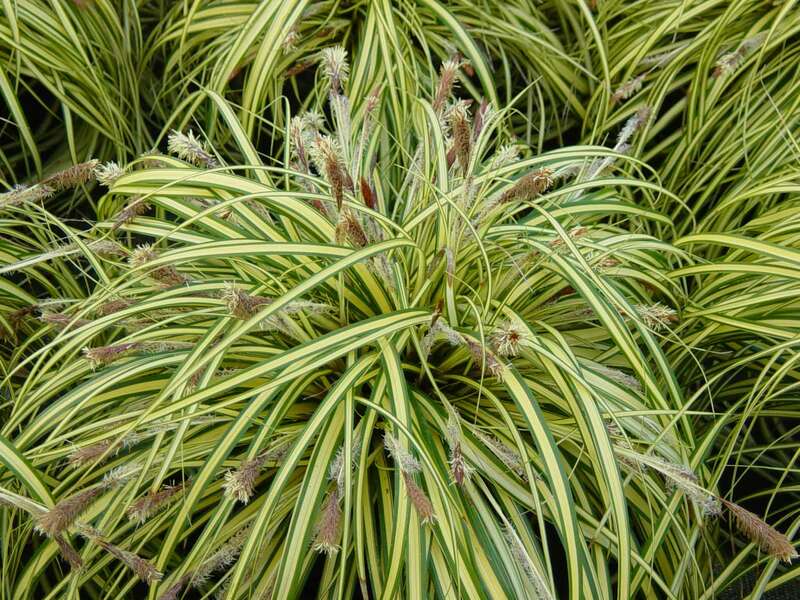 Houseplant care: Carex morrowii Variegata is a moderate grower and is often used in association with other species to add contrast in shape and colour of the display. When plan to create displays using Carex morrowii Variegata, choose plants needing similar life conditions such as Scindapsus and Maranta species. 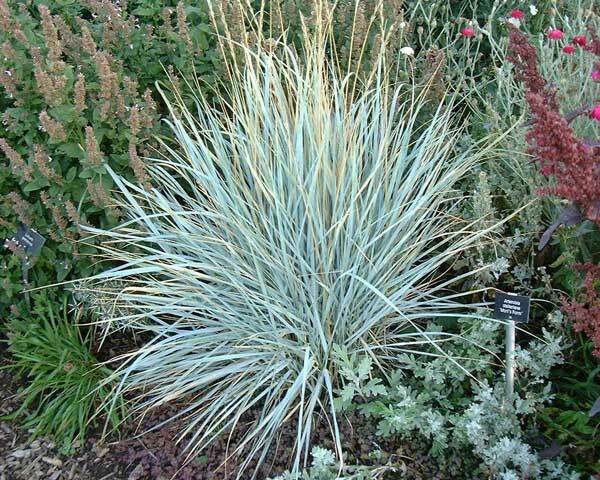 Light: Grow the Carex morrowii Variegata in bright filtered light. Inadequate light will dull leaf-colour contrast. 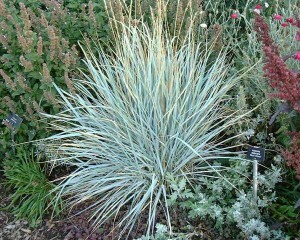 Temperature: Carex morrowii Variegata can tolerate warmth 18-21°C (64-70°F), only if humidity is kept high. In warm rooms is advisable to stand plants on trays of moist pebbles and mist-spray them regularly. If possible keep winter temperatures down to 10-15°C (50-59°F). Water: When grown indoors Carex morrowii Variegata should never be overwatered. Throughout the year water moderately, enough to make the mixture thoroughly moist, but allow the top 2cm (0.8 inch) of the potting mixture to dry out completely between waterings. Fertilising: Apply standard liquid fertiliser once a month during spring and summer only. Potting and repotting: Use a soil based potting mixture. A 13cm (5 inch) pot is likely to be the biggest pot size required. Move small plants into pots one size larger whenever the tufts of leaves completely cover the surface area of the potting mixture. Gardening: Carex morrowii Variegata is an hardy evergreen for hardiness zone 5. It is adapted to chalk, clay loam, loam, loamy sand, peat, sandy clay, sandy clay loam, sandy loam, silt loam and silty clay loam soils and prefers high fertility. It should be placed in partial shade. It will grow in full shade and even tolerates full sun in cool climates. Follow a regular watering schedule during the first growing season to establish a deep, extensive root system. It spreads slowly by rhizomes and is quite drought tolerant once established. For a neat appearance, remove old foliage in late winter or early spring, before new growth emerge. It is seldom necessary to divide clumps, unless more plants are desired. Divide and replant every 2 to 3 years in early spring. Propagation: Split the mature plants into two or three clumps and plant each separately, preferably in spring. Do not divide a plant into more than three sections; very small clumps rarely grow into healthy plants. Uses: Carex morrowii Variegata is wonderful as a ground cover especially under trees or as border edgings. It is most effective when grown in large clumps or massed plantings. 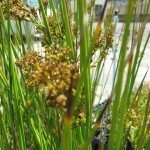 It is an useful sedge for erosion control, rain garden, rock garden or will naturalize spaces. Makes also an attractive specimen plant or ground cover as waterside plants like Heuchera, Canna, Astilbe, Iris and Tiarella species, especially those with contrasting purple foliage. Create an exotic Asian garden with Acer palmatum (Japanese Maple), Athyrium niponicum (Japanese Painted Fern), Lilium asiatic (Asiatic Lilies) and Peonies species. 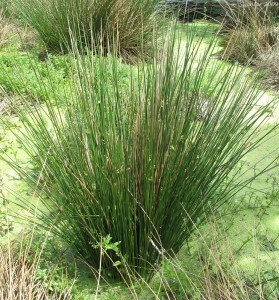 It is an attractive addition to low lying wetlands, streambeds or near ponds and water features. 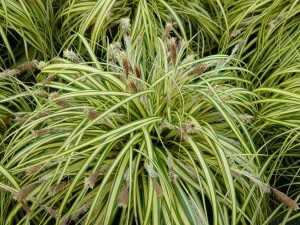 Carex morrowii Variegata is the only one from its large genus widely grown indoors being an attractive container plant. Distribution and habitat: Acorus gramineus is native to Japan in eastern Asia, where it usually occurs in wetlands and shallow water. It can grow fully or partially submerged or in very moist soil, but it will usually only flower when at least partially submerged. 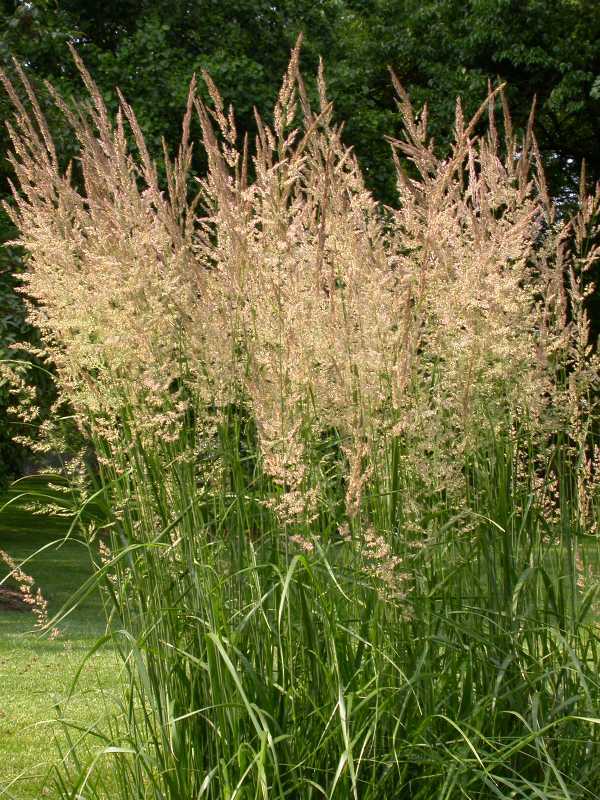 Description: Acorus gramineus narrow leaves, which grow in a dense clump or tuft rising from a slender rhizome that lies just below the surface of the potting mixture, are up to 45cm (18 inch) long. There is a green slower spathe, but is is barely noticeable since it is so fine that it looks almost like another leaf. Houseplant care: Acorus gramineus grow more or less continuously, but its active growth will slow down under reduced light. Light: Medium light or direct sunlight filtered through a translucent blind or curtain will suit Acorus gramineus. Temperature: An indoor Acorus gramineus will grow well in normal warm room temperatures, but can also tolerate temperatures as low as 4ºC (39ºF). High humidity is essential; stand plants on trays of moist pebbles throughout the year and mist-spray the leaves during the warm periods. 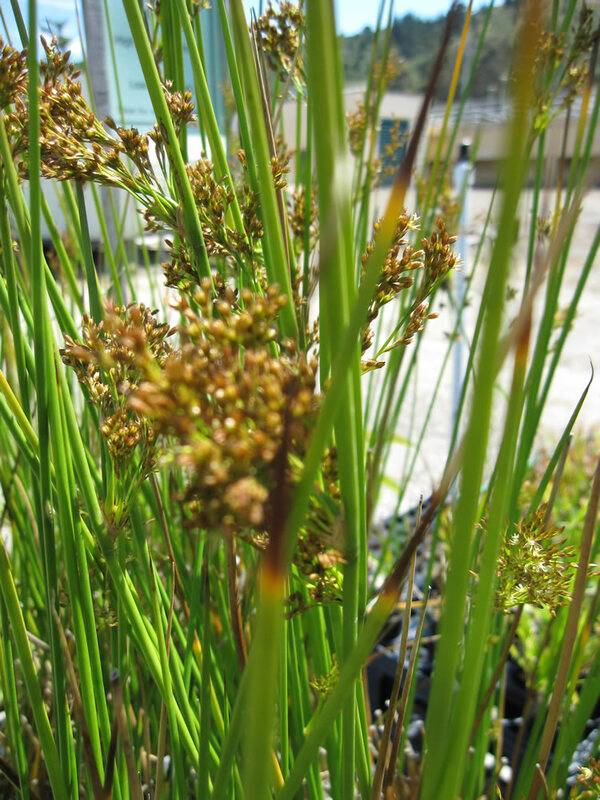 Water: Because they are marsh plants, Acorus gramineus needs more water than most other types of plants. These plants must never be allowed to dry out at the roots. Water plentifully as often as necessary to keep the potting mixture thoroughly moist. The pot may even be allowed to stand in shallow saucer of water. Fertilising: Apply standard liquid fertiliser every two weeks during spring and summer. Potting and repotting: Use a soil-based potting mixture. In spring move small plant into pots or shallow pans one size larger if their tufts of leaves have completely filled the surface area of the mixture. 13cm (5 inch) pots or half-pots are likely to be the largest size needed. Gardening: Acorus gramineus when grow outdoor is easily grown in average, medium to wet soils in full sun to part shade. Grows well in both boggy conditions (including very shallow water) and consistently moist garden soils. Scorched leaf tips will occur if soils are allowed to dry out. Appreciates some relief from hot summer sun (e.g., afternoon shade or filtered sun) when grown in hot summer climates. Slowly naturalizes by spreading roots, but is not too aggressive. 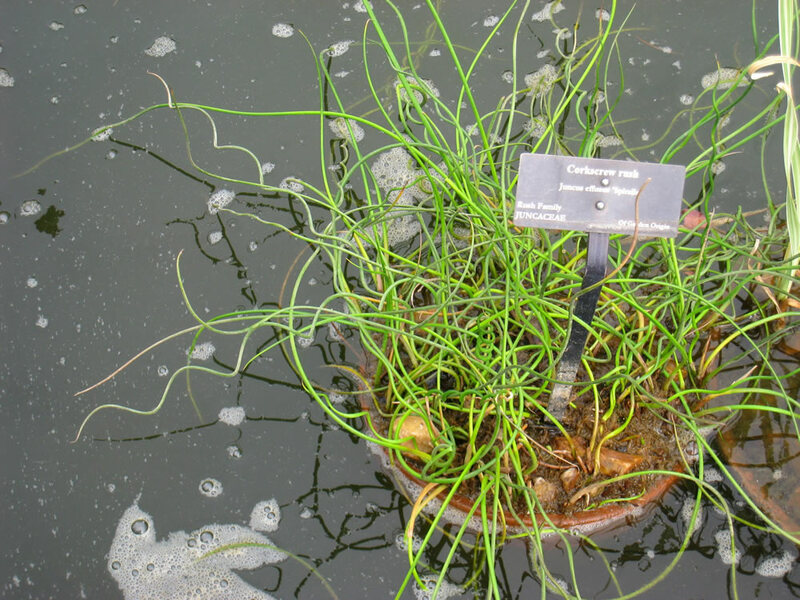 Acorus gramineus can be planted in baskets in shallow water. 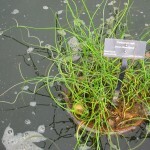 It also makes a useful aquarium plant but is short-lived where water temperatures exceed 22°C (72°C) for long periods. Divide every few years to prevent congestion. Propagation: Prapagate by separating overcrowded clumps in spring or summer. Carefully pull the clumps apart with the fingers, making sure that a piece of rhizome is attached to each section and treat each divided clump as a mature plant. Problems: Acorus gramineus has no serious insect or disease problems. Scorch will occur if soils are not kept consistently moist to wet. Acorus gramineus ‘Variegatus’ is a variegated-leaved form of Acorus gramineus. It has white stripes on its green leaves. Acorus gramineus ‘Albovariegatus’ is a variegated-leaved and dwarf form of Acorus gramineus. Its leaves grow rarely much larger than 15cm (6 inch). Acorus gramineus ‘Ogon’ (Golden dwarf sweet flag) is a dwarf cultivar if Acorus gramineus to 25cm (10 inch) tall and 15cm (6 inch) wide. It has linear fans of glossy, pale green and cream-striped leaves that have an overall golden effect. Uses: Acorus gramineus can be used as groundcover, in erosion control, rain garden or as a water plant. Acorus gramineus are generally paludal (marsh plants) and are equally suited to aqua-terrariums and garden ponds, although they will also survive totally submerged. Acorus gramineus can be used to form mass as ground cover in small areas of water gardens, along streams or ponds or in moist open woodland gardens. It is frequently used around the edges of ponds and water gardens, as well as submerged in freshwater aquaria. Acorus gramineus is ideal for foregrounds in aquariums. Also effective in rock gardens or border fronts or as small landscape accents as long as the soil moisture requirements can be met. Acorus gramineus is the only one species from genus Acorus often grown indoors. Acorus gramineus provide a pleasant contrast with the more substantial foliage of other house plants.